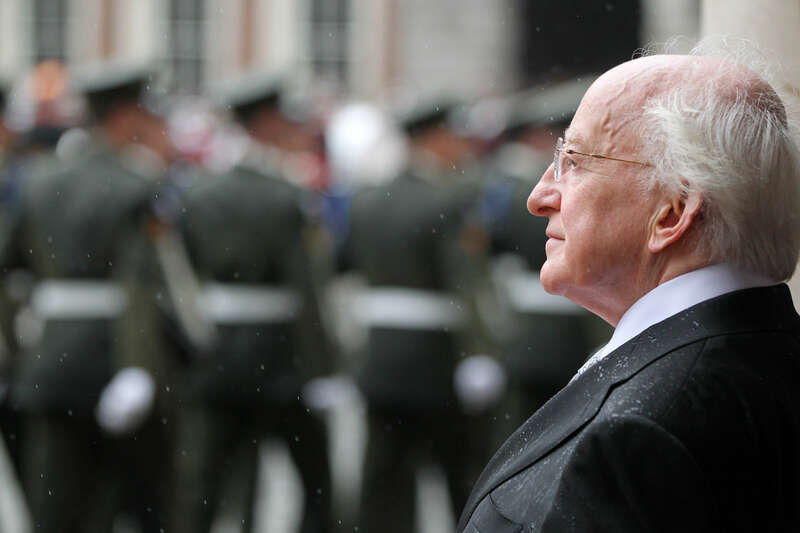 Michael D. Higgins became the ninth President of Ireland on 11th November 2011 (11/11/11). The president is married to Sabina Coyne. They married in 1974. They have four children: Alice Mary, twins John and Michael Jr. and Daniel. The President's Bernese Mountain Dogs are called Bród and Síoda. The presidential Standard is a golden harp on a blue background. If you see this flag flying over Áras an Uachtaráin, it means the President is at home.